The percentage of the population with a job or looking for work has fallen from a record high in early 2000 to the lowest level in 35 years in December. The unemployment rate fell to 6.7% in December -- the first time it's been below 7% in five years. But the drop was for all the wrong reasons. In December, 347,000 people dropped out of the workforce. 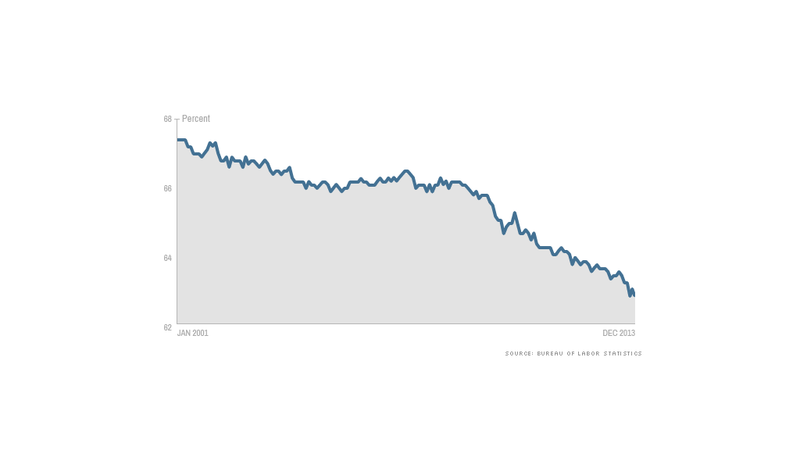 That pushed the participation rate, which is the percentage of the population in the labor force, down to 62.8%. That's the lowest it's been since early 1978. In some ways the participation rate may be even weaker than it was in 1978, since more women work outside the home today. The December participation rate for men alone matched a record low dating back to 1948. It's easy to see why it's tough for so many to find work, since employers added just 74,000 workers in December. Some of the decline in the participation rate can be attributed to changing demographics, since many baby boomers are retiring and dropping out of the work force. But most of the low participation rate is due to the weakness in the job market. For instance, only a third of teenagers are either working or looking for work, putting the participation rate for that age group at one of the lowest levels on record. 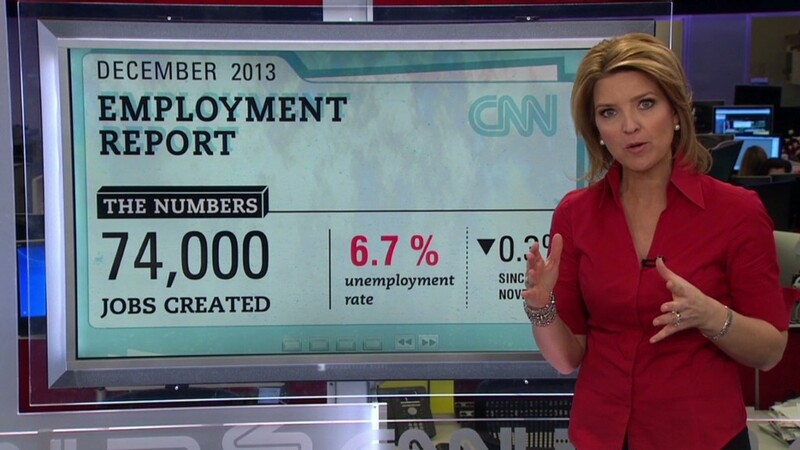 Long-term unemployment has caused a flood of discouraged workers to drop out of work force. The average unemployed job seeker has been out of work for 37 weeks. "It's no wonder people are dropping out of the labor force," said Robert Brusca of FAO Economics. "It's very discouraging to keep looking for jobs and constantly being rejected." Another factor holding the participation rate down is that many of the jobs that are available just don't pay enough to lure job seekers back into the work force. Indeed, many companies are only looking to hire temporary workers. In December, 55,300 of the jobs created were in the retail sector, many of which were seasonal hires. Another 40,400 jobs were added in temporary help services. All the gains and losses in all the other sectors of the job market combined for a loss of more than 20,000 jobs in the month. The biggest losers were government trimming 13,000 jobs and construction eliminating another 16,000.